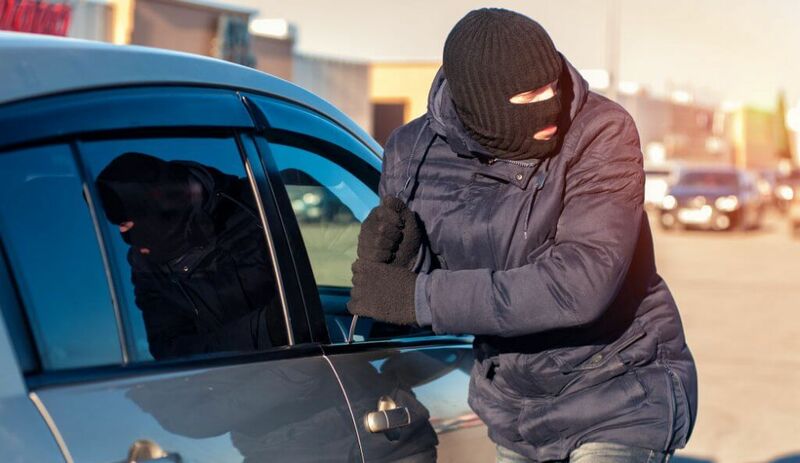 Home»Articles»Car Insurance»Can You Claim Insurance For Car Theft With Your Current Policy? ‘Relax papa. We are safe,’ assured Aakash. Mr. Nayar wasn’t satisfied and asked, ‘How can you be so sure? Last week a car was stolen from the building behind our complex.’ The retired man seemed tense. ‘I said we are safe because our car is insured with a Comprehensive Car Insurance policy. Even if it is stolen, we will not suffer a loss. Don’t worry. Now may I leave for office?’ Aakash pleaded. ‘Oh! Insurance, nice. But that doesn’t mean you drive recklessly, okay? Now go, and don’t fidget with your phone while driving,’ said Mr. Nayar. ‘Of course,’ Aakash smiled and left. There are two types of vehicle insurance policies, Third-party Liability and Comprehensive. Third-party Liability policy is mandatory as per Indian law and is designed for third parties and does not cover damages to the insured car. A Comprehensive Car Insurance policy is meant for your car. It covers damages to your car in case of accidents, calamities, theft, etc. This means that if your car is stolen, you will be reimbursed by your insurance company only if you have purchased Comprehensive Car Insurance. It also includes the mandatory Third-party Liability insurance. It is heartbreaking to know that your car is stolen. There is a sinking feeling associated with it. It was your car, your dear car. How can someone just steal it? However, all is not lost. Yes, that car was special but you can still claim car insurance and recover considerable amount of money invested in purchasing the asset. As soon as you realize that your car is stolen, you have to notify the following three entities: Insurance Company, Police, and Regional Transport Office (RTO). You can initiate a car insurance claim for theft by calling your car insurance company or emailing them. Nowadays, car insurance companies have a responsive claim settlement team that guides you in such tough times. Car Claim Settlement Ratio is also an important yardstick to measure the reliability of an insurance company. You need to file a First Information Report (FIR) at the police station for a stolen car. A copy of the FIR needs to be sent to your car insurance company while applying for a claim. The RTO where your car was registered needs to be intimated about the theft. Form number 28, 29, 30, and 35 need to be filled. This way, the stolen vehicle cannot be re-registered with the RTO. Your claim application should be strengthened with relevant documentation. Your car’s insurance policy, car’s registration certificate, FIR, car invoice, road tax receipt, RTO forms, car’s keys, etc. need to be submitted along with the claim application. If not the original, then at least the copies of the documents should be submitted. Your car’s photographs are also needed. How Much Money Will You Get as Claim? People often feel that they will be reimbursed with the insured car’s purchase amount in case of theft. This is true only if you have a Return to Invoice Add-on. In that case, the insurance amount will be equal to the car’s invoice amount. If you do not have that Add-on, you will be offered the car’s market price at that moment. A four-year-old car is bound to depreciate in value. Thus, the depreciation amount will be deducted according to Insurance Regulatory and Development Authority of India’s guidelines and you will be compensated as per your car insurance policy’s terms and conditions. Why It Is Necessary To Insure Your Second-Hand Vehicle?